Beautiful 2nd floor Abby model with vaulted ceilings and side window providing open and natural light throughout, simply not available in interior models. 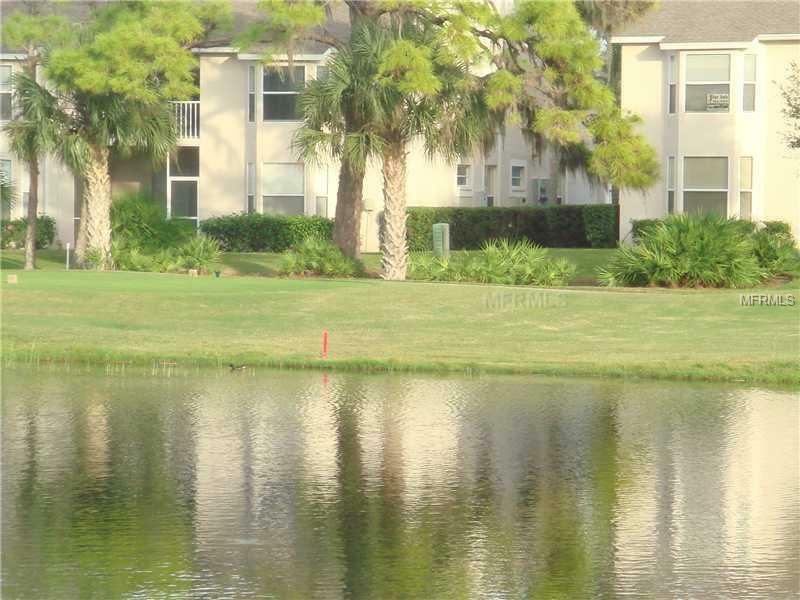 The glass-enclosed Lanai offers custom sun filtering shades and provides gorgeous views of the golf course and lake where you will enjoy the sights and sounds of waterfowl and an occasional golf shot. Condo offers King bed in Master bedroom and twins in the Guest bedroom. Flat screen TVs, wireless internet, Blu-ray, stereo, washer and dryer are in the unit. BRAND NEW STAINLESS REFRIGERATOR, COOK TOP STOVE, AND MICROWAVE in kitchen detached one car garage with remote. There are tennis courts and heated pool right across the street. Stoneybrook has an impressive clubhouse with formal and casual dining. Full club membership transfers for $250 for the duration of your stay. World rated Siesta Key Beach is just minutes away. Shopping and entertainment abound in Sarasota. The new Legacy Trail is just outside the gated entrance. RENTED JAN, FEB, MAR, 2019.